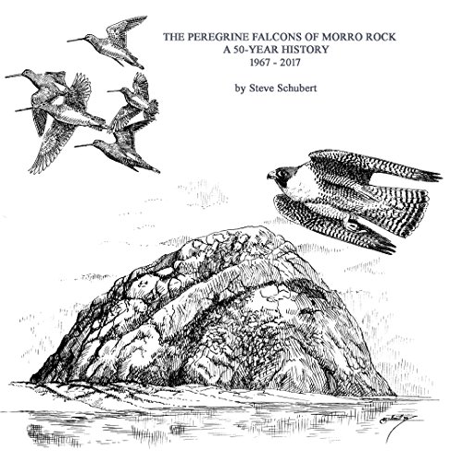 Home » Announcements » The Peregrine Falcons of Morro Rock - UPDATED! The Peregrine Falcons of Morro Rock - UPDATED! Steve Schubert has recently revised, edited, and updated his book, first published ten years ago, from a 40-year to a 50-year history. The published 2nd edition is now current through the year 2017. It's done, the final edition! Please pass on the publicity to others you know that might be interested in reading the book and having a copy as a historical reference, thank-you!